I change tack constantly! I have a very busy mind and as new ideas pop up, I find I have to adjust what I have done already to allow the new bits to fit in. It’s like doing a complex dot-to-dot puzzle where the dots you’ve already connected keep shifting. I’m never 100% sure what the finished picture, or book, is going to look like. So, I do plan but I nearly always end up with something wildly different to what I imagined in the first place. With up to three children and three cats around the house at any one time, my ritual is pretty much grab what scraps of free time I have and splurge something out onto a page! An odd thing I’ve started doing recently is putting the cooking channel on the TV in the background. I have no idea why this helps me concentrate. Maybe it’s the contrast of something else that’s creative but entirely different to writing. Other than this, in the day I write by tea; in the night I write by wine and this is when most of the poetry happens. Until we moved to Wales, I too used to write with the ‘aid’ of children and cats….now it’s just cats! I’m a huge sci-fi geek. I love Star Trek, Babylon 5, and Blake’s 7 and more recently, Stranger Things and the entire Marvel Defenders collection. I adore a good box-set binge! I’m the same with reading too. Once I get into a fictional series, I get completely absorbed and need to get the next book, at any cost. I recently re-read all the Pratchett books again, and am looking forward to starting on The Dresden Files for another session of self-imposed hibernation. I suffer from chronic and occasionally severe anxiety and depression so I have a real interest in mental health and ways to cope and even thrive with mental health conditions. I write about this a bit on my blog, and lots of my poetry is about struggles with mental health. I’m an amateur herbalist and I have a column at PaganPages.org every month called Notes from the Apothecary in which I examine the magical and medical qualities of different plants. I play music and sing, and have lots of different influences from traditional folk to prog rock! I have a few tracks on Sound Cloud and hope to add to those soon. A replicator! Ha ha, I guess 3D printing isn’t quite there yet so… My guitar, my Irish whistle, a pad, a pen and a special blanket which helps me sleep. Ooh that’s a hard one. If it’s not cheating, I’d take the Elfin Diary, to keep track of days and also because it’s full of fascinating info. I’ve had one nearly every year for over 20 years. If I was in the middle of a series, I’d have to take the next book(s) in that series then just sit rocking with fiction withdrawal when they ran out. The SAS survival handbook would also be useful on a desert island! Maybe sack all that off and I’ll take the Earthsea books by Ursula Le Guin. I don’t think I could live without them. I have crippling social anxiety so the thought of having dinner with someone I don’t know it’s absolutely terrifying. I wouldn’t even go on a blind-date. I would very much have loved to have met Stephen Hawking though. He seemed like such a warm, funny person as well as incredibly intelligent and insightful about the universe. I’m currently working on a book about Lugh; his mythology and also how he is revered in modern Paganism. In the realms of fiction, I’ve been working on a science-fiction/magical cross-over for some time. There are elements of artificial intelligence and also inexplicable universal energies. The protagonist is a scientist who is trying to make sense of the weird events unfolding around her. My eight-year-old boy wants me to write a children’s book, so I’m thinking of re-working some Celtic myths and legends for younger readers. How exciting that you’ve such varied projects in mind. Good luck! 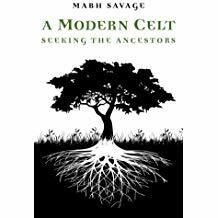 My first book was A Modern Celt: Seeking the Ancestors which is an exploration of the relevance of Celtic culture in modern society. It’s told through the voices of many different people from all walks of life. 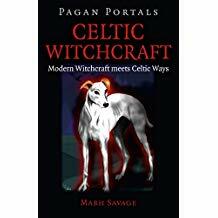 My latest book is Pagan Portals: Celtic Witchcraft and this looks more specifically at following a magical path inspired by Celtic spirituality and with the influence of Celtic deities. 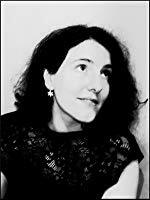 My main website and blog is at http://www.mabhsavage.com and I write for paganpages.org every month too. People can follow me on twitter @mabherick and I’m on Pinterest, Facebook and tumblr too. Thanks so much, Mabh for your honest answers, allowing us into your writing life and thinking processes.